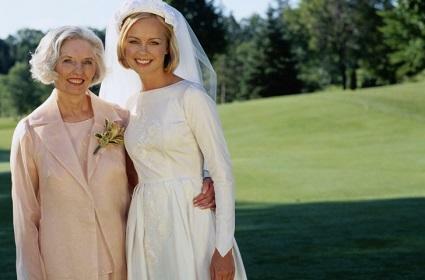 Knowing where to find several ideal petite mother of the bride dresses can save time. The mother of the bride plays a special role at the wedding and the perfect dress ensures she feels her best for this important day! Alex Evenings Mock Two Piece Gown: This lovely blue dress is available in sizes 10P to 16P and is priced around $170. It is done in an ankle length and features a sequin and lace-overlay top with a chiffon skirt. It also has three-quarter sleeves and is fully lined. Adrianna Papell Short-Sleeved Beaded Mesh Gown: This elegant dress comes in Champagne or lead in sizes 2P to 16P and is priced just over $300. It features sparkling beads accented down the mesh overlay. Another eye-catching detail is the keyhole back. Nordstrom offers free shipping and free returns on all purchases. Any purchases made online can be returned or exchanged at any Nordstrom store, free of charge. Sheath/Column Square Floor-length Satin and Chiffon Dress: This dress comes with a wrap and is priced around $180. It can be made to your exact measurements. This dress is done in your choice of colors such as ivory, black, lavender, navy and champagne. This floor length dress has crystal detailing, ruffles, a sash and a criss cross bodice design. A-line Knee-Length Chiffon Dress: This v-neck dress is priced under $90 and can be made to your specific measurements. It comes in colors such as sage, champagne, pearl pink, silver and brown. This dress is knee-length and has a ruched bodice that is flattering to the figure. It also has a rhinestone accent at the waist. A customer who purchases a custom-made dress commented that it was worth paying the additional money to get the dress made to her exact measurements. She added that the quality and craftsmanship were superb. Keep in mind that dresses made to specific measurements take nine days for tailoring. Shipping charges do apply for each order. Light In The Box has specific return guidelines. For example, for custom orders, you have until the dress ships to cancel your order. If your order arrives and the dress is off in size by more than one inch, you can be reimbursed for the price of getting it tailored locally. If your dress does not fit properly, but was made to the specifications you sent, your order cannot be returned. Returns on custom orders are subject to a handling fee. R&M Richards Rosette Lace Chiffon Jacket Dress: This dress, which comes in silver and ranges in size from 4P to 12P and is priced around $130. It features an open-front rosette lace jacket with three-quarter sleeves, and a sleeveless, tea-length dress. Jkara Petite Beaded Ruffle-Sleeve Gown: This plum dress is priced around $230 and comes in sizes 6P to 16P. It features a soft cowl neckline and back with ruffled, sleeves and a flowy skirt. In addition, the bodice is beaded. A customer who purchased this dress at Dillard's commented that the beading adds some pizazz without stealing the spotlight. All items purchased from Dillard's can be returned to the Internet store location or to any Dillard's store. Standard shipping charges are applied to each order. The mother of the bride should wear something that she feels comfortable and confident in for her daughter's special day. Dresses designed for a petite are made to fit properly and are designed for a petite's shape and build. A mother will feel fabulous in a dress that looks stylish and will beautifully complement her daughter's dress on her special day.